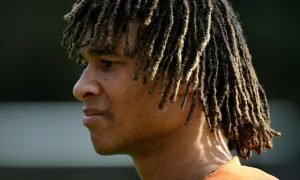 Mourinho ready to axe top defender to Euro giants as Man United overhaul begins (not Blind) | The Transfer Tavern | Where football transfer rumours fly or die! 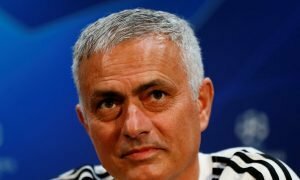 Now Jose Mourinho is firmly installed as manager of Manchester United, the Red Devils Transfer Tavern have begun to wax lyrical about the nature of players the self-proclaimed ‘Special One’ will bring with him. Having already signed Eric Bailly in a mega money deal from Villarreal earlier today, the punters have been debating over who will be next through the door at the Theatre of Dreams. However, reports from Italian outlet Tuttosport suggest the Portuguese’s next step in overhauling the leaky defence at Old Trafford will be selling a player, rather than buying one. They claim that the 53-year old is already eager to axe Matteo Darmian from the squad, following a frustrating maiden campaign in England. The former Torino defender was hugely rated in Serie A, mainly because of a dynamic performance against England during Italy’s clash with them in 2014, though has struggled for both form and fitness. Juventus are reportedly ready to rescue the Azzurri international from his Premier League interest, as they bid to draft in a dynamic right-back along with Dani Alves. Should Darmian be kept on? Surely he’s better than Valencia?